This article presents a brief history of Vulcanospeleology in the Kingdom of Saudi Arabia and summarizes the known studies carried out in Saudi lava caves. Some of these studies have been published internationally or locally in Saudi Arabia. Others are alluded to in non-scientific field trip reports on the Saudicaves web site (www.saudicaves.com). 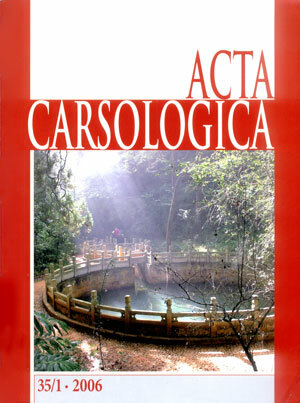 Many other details remained in the field notes of the speleologists who visited the caves, until the publication of this article. It is hoped that this summary will assist researchers in ascertaining what is presently known about lava caves in Saudi Arabia and may help to determine the nature and direction of future vulcanospeleological studies on the Arabian Peninsula. Saudi Arabia has over 80,000 km2 of lava fields, locally known as harrats. However, only a few studies of lava caves in Saudi Arabia have been published internationally. This article summarizes the published and unpublished findings of all known expeditions to lava caves in the kingdom. Prior to 2001, reports of such caves were mostly limited to sightings of collapse holes by vulcanologists surveying the lava fields. Few caves were entered and no cave maps were produced. In 2001 and 2002, expeditions were organized to Harrat Kishb, located northeast of Makkah (Mecca). Three lava caves measuring 22 m, 150 m and 320 m in length were surveyed and the collapse features of a fourth cave—possibly over 3 km long—were studied. Two throwing sticks, a plant-fiber rope and the remains of stone walls were found in some of these caves. In 2003, lava tubes measuring 530 m and 208 m were surveyed in Harrat Ithnayn and Harrat Khaybar, respectively. Animal bones and coprolites were found in both caves. In 2003 and 2004, studies were carried out in Hibashi Cave, located in Harrat Nawasif/Al Buqum, 245 km southeast of Makkah. The cave was surveyed (length: 689.5 m) and found to contain two layers of burnt bat guano overlying a bed of redeposited loess up to 1.5 meters deep and up to 5800 years old. At least 19 different minerals were found, three being extremely rare organic compounds related to the guano combustion. Bones, horns, coprolites, ruins of a wall and a human skull ca. 425 years old were also found. 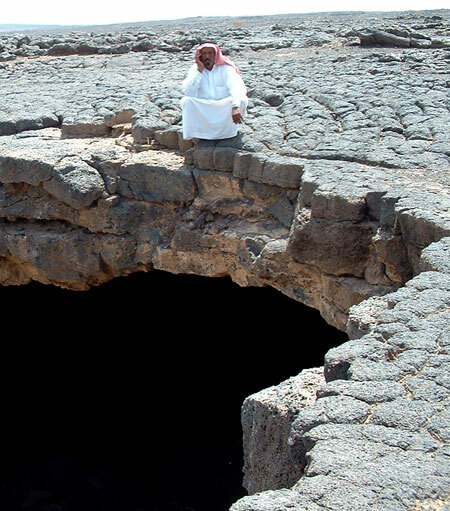 There is evidence of many more lava caves in Saudi Arabia, particularly in Harrat Khaybar. Formal archeological and biological studies have not yet been carried out in Saudi lava caves but may produce interesting results.